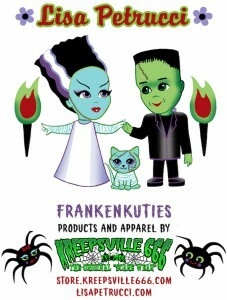 Kreepsville 666 has produced a line of apparel featuring my Frankenkuties! 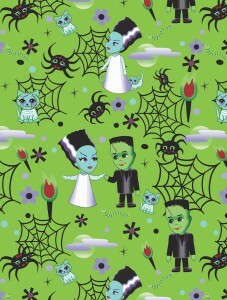 Kute and kreepy details from my original art on bright monster green stretchy polyester fabric. 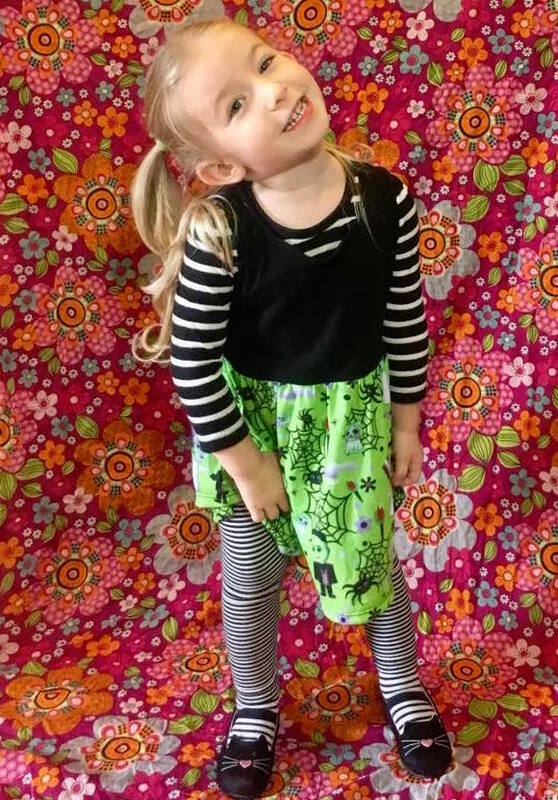 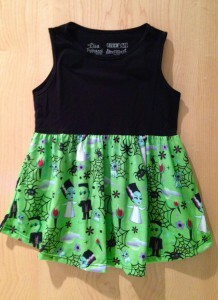 There are two different frightfully fantastic dresses for ghouly gals, and even an adorable frock for lil’ spooks! 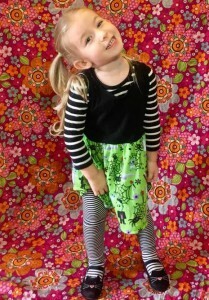 The dresses are available in most sizes in Lil’ Lisa’s Pop Shop!